Trust and ethics, diversity and productivity are key themes running through this year's 25 best management and leadership books short listed for the 2017 Management Book of the Year. 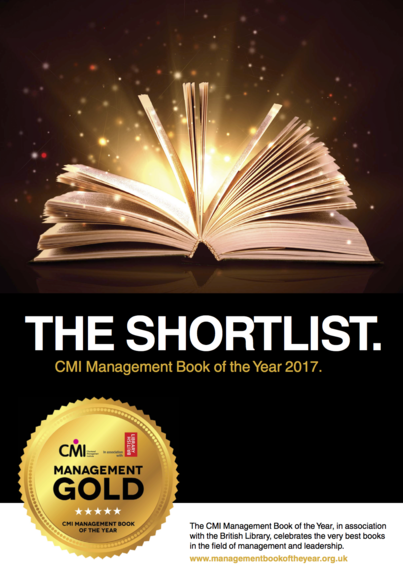 Announced by the Chartered Management Institute (CMI) and The British Library - and supported by Henley Business School - 2017 Management Book of the Year features titles that are breathing new life into management and leadership thinking. Practical Manager; the Commuter's Read; and Management and Leadership Textbook. Among those shortlisted is John Blakey's The Trusted Executive, which looks at trust-building strategies, and Richard and Daniel Susskind's The Future of the Professions, which examines how emerging technologies will bring fundamental changes to the way we work. Trust and uncertainty have been timely themes with the ongoing scrutiny of top executives' pay and aftermath of the EU Referendum result. Books such as Big Change, Best Path by Warren Parry look at how best to manage and embrace change, while Cecile Bingham's Employment Relations examines organisational justice and recommends how to build diverse and inclusive workplaces. Petra Wilton, CMI's director of strategy, commented: "Thousands of books on how to become a better manager and leader are published every year. Our shortlist directs everyone from first-time managers to senior business leaders to those books that will make a definite difference to how they think and act as management and leadership professionals. For those passionate about their career, the progressive and practical lessons within these books are essential reads." The five category winners and an overall winner will be announced at an awards evening at the British Library on 6 February 2017 - with the winning author taking home a £5,000 prize. Last year's overall winner was Frugal Innovation by Navi Radjou and Jaideep Prabhu, published by Profile. Navi and Jaideep said: "Winning the 2016 Management Book of the Year award was a huge achievement and we were delighted to see our work recognised in making such a difference to managers. The volatile economy created uncertainty for many so we were glad to offer practical advice to managers and leaders to drive business forward." 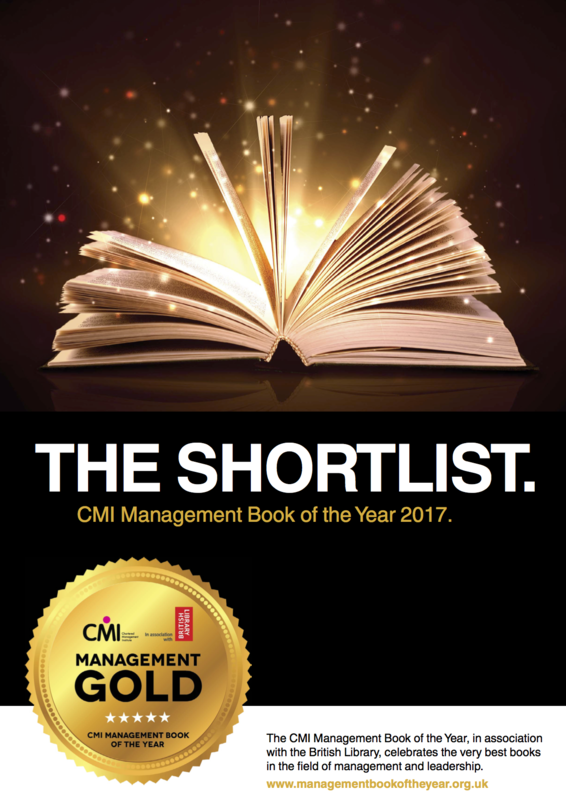 "The British Library is honoured and thrilled to be hosting the CMI Management Book of the Year awards again. Not only are we the UK's national research Library with a world-class collection of management studies resource, but also we have a long and successful relationship with CMI and are delighted to be supporting them in their mission to develop management and leadership." The innovation workout: the 10 steps that will build your creativity and innovation skills. From science to startup: the inside track of technology entrepreneurship. How to manage: the definitive guide to effective management. Inclusive talent management: how business can thrive in an age of diversity. What you really need to lead: the power of thinking and acting like an owner. We have a deal: how to negotiate with intelligence, flexibility and power. Leadership paradoxes: rethinking leadership for an uncertain world. The origins of ethical failures: lessons for leaders. Employment relations: fairness and trust in the workplace. The Management Book of the Year competition, which is now in its seventh year, was created to uncover the best books on management and leadership, and help raise the profile of the great management writing published in the UK. The winners of the five categories and the overall winner - who will scoop a £5,000 prize - will be announced at an awards evening at the British Library on 7 February 2017. A full listing of the shortlisted books and more details on the expert judging panel are available via the competition website yearbook.managers.org.uk. Follow the hashtag #managementgold on Twitter to get tips, advice and information on the books in this year's competition. Last year's overall winner was Frugal Innovation by Navi Radjou and Jaideep Prabhu, published by Profile (Economist Books). Previous overall and category winners include Steven D'Souza, Diana Renner, Richard Newton, Christopher Bones, Henry Mintzberg, Clayton M. Christensen and Philip Kotler. CMI - the Chartered Management Institute - is the only chartered professional body for management and leadership, dedicated to improving managers' skills and growing the number of qualified managers. Our professional management qualifications span GCSE to PhD equivalent levels, including the unique Chartered Manager award which increases earnings potential and improves workplace performance. We provide employers and individual managers with access to the latest management thinking and with practical online support which helps them embrace change, create high performing teams and keep ahead of the curve. With a member community of 136,000 managers and leaders, we promote high standards of ethical practice through our Professional Code of Conduct, and help managers build their expertise through online networks, regional events and mentoring opportunities. Henley Business School is one of the oldest business schools in the UK, having been established in 1945. Henley is in the 1% of all business schools worldwide to hold triple-accredited status from the leading UK, European and US accrediting bodies - AMBA, EQUIS and AACSB. It is known for empowering individuals to become great professionals and outstanding business leaders who think with clarity and act with confidence and conviction. Its distinctive approach is proven to deliver results for individuals and businesses alike.